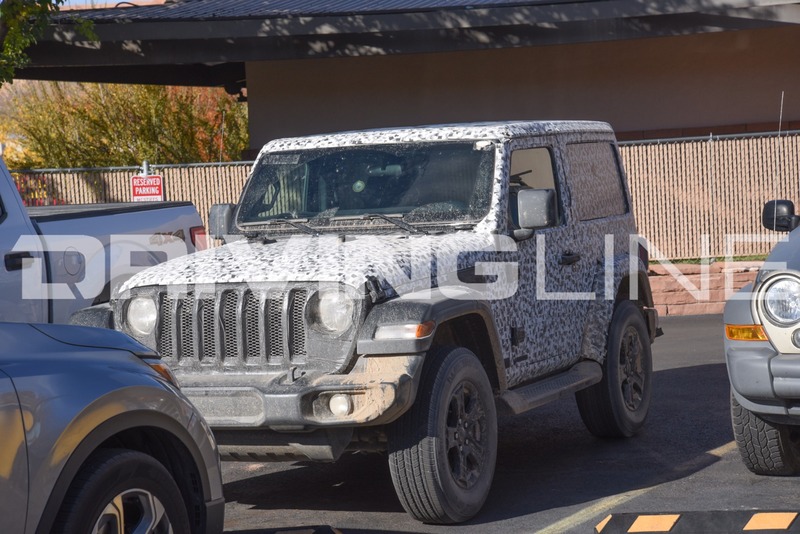 By now, you’ve probably seen a few spy photos floating around of the coveted 2018 Jeep Wrangler, dubbed the JL. 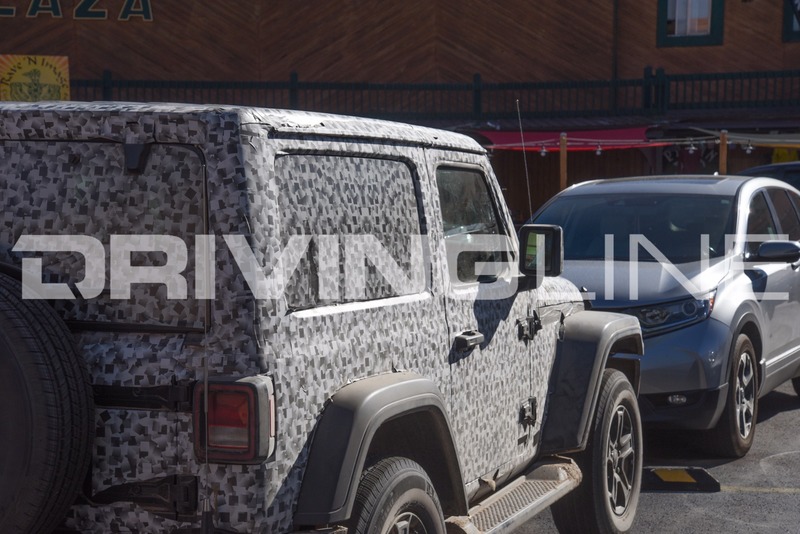 These mules are typically covered from bumper to bumper in black mesh and camouflage to disguise any distinct features while the vehicles are being road-tested. 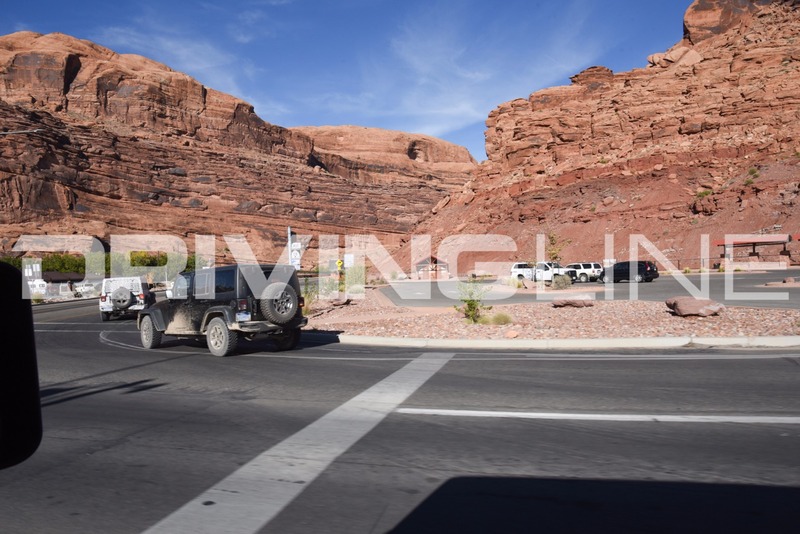 But true to Jeep’s focus on delivering a formidable product capable of tackling off-road trails right out of the box, they had to take their test off the pavement. 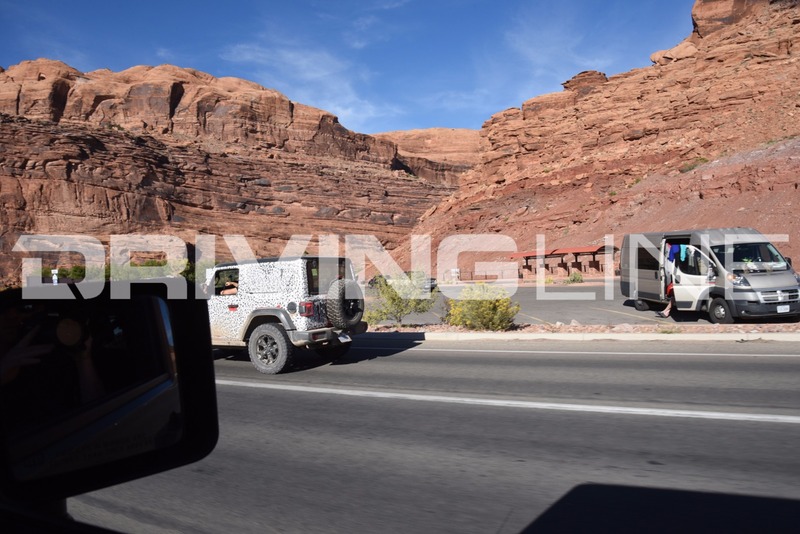 And what better place to test them than in the off-road capital of North America—Moab, Utah. 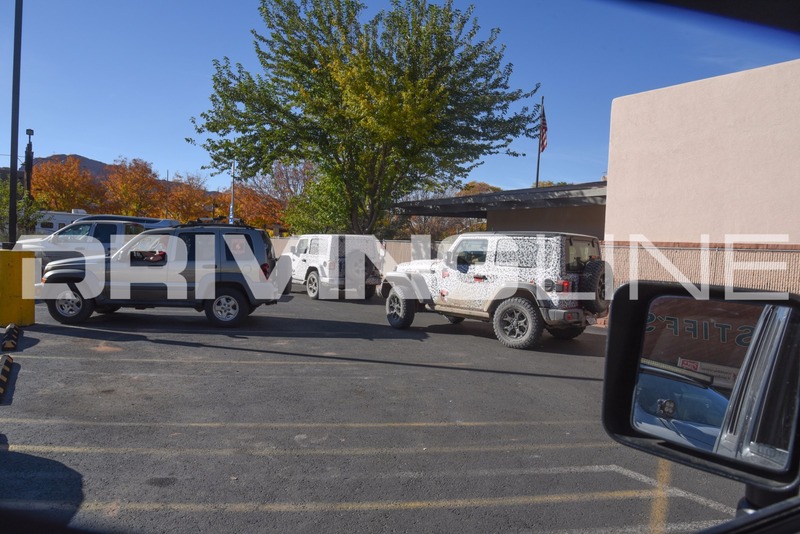 These spy shots ,exclusive to Driving Line, were taken outside of a restaurant in Moab—a mere ten minutes away from iconic trails such as Hell’s Revenge, Golden Spike and Steel Bender. 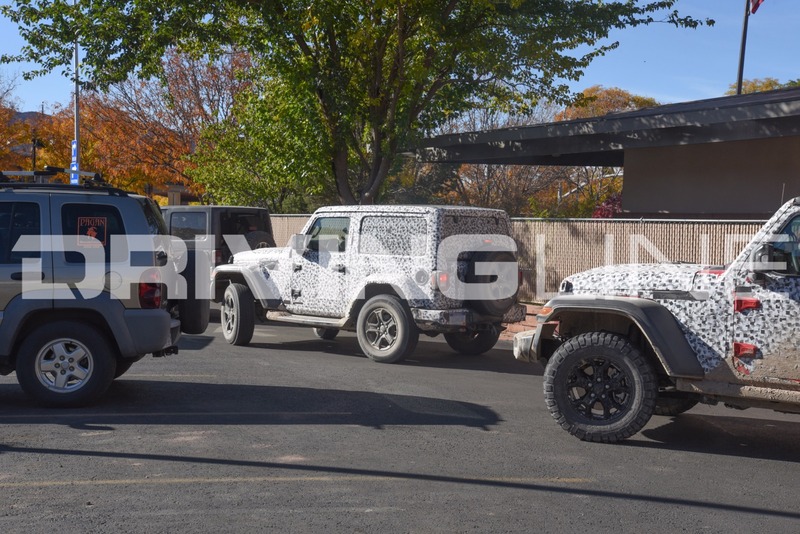 Rocking Michigan license plates, the JL mules spotted here are sporting some classic Moab mud on the front bumpers, indicating the testers likely drove them off-road recently. 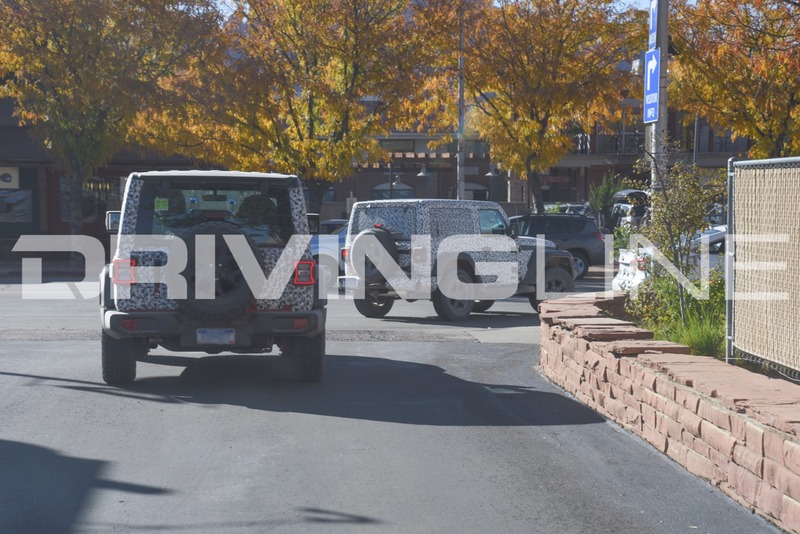 Led by a JK Rubicon, the group of JLs included two 2-door models and one 4-door model, but it is unknown what trim level they are. 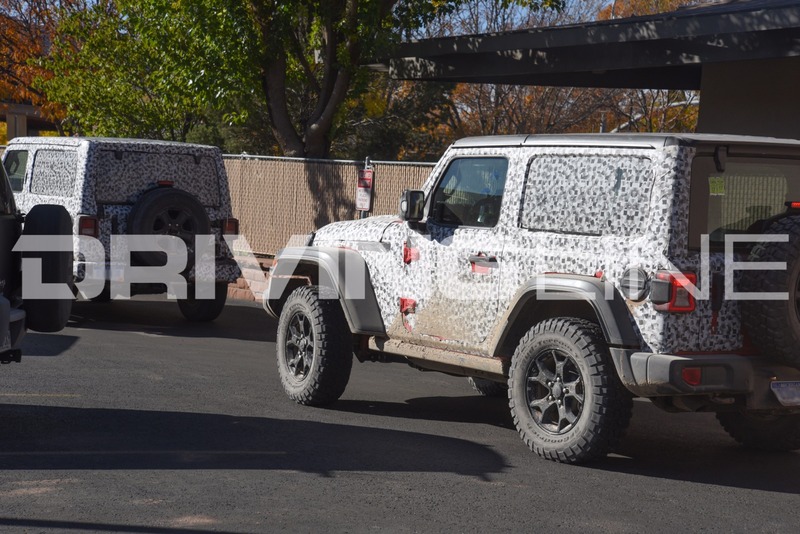 It seems these models were fitted with a set of steps like you would normally find on a Sahara, rather than the Rubi-sliders you’ll find on a JK Rubicon. Another visible difference between the models we captured are the lights. 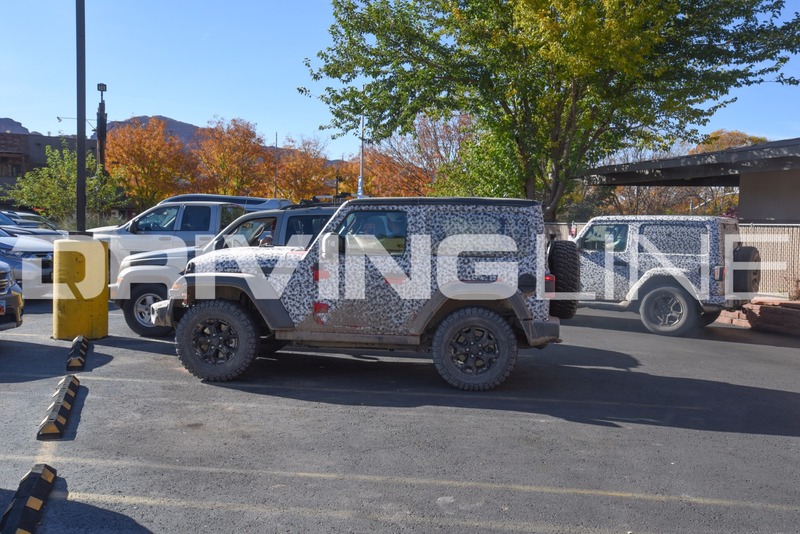 One of the 2-door mules was sporting halogen-style headlights and tail lights similar to the factory JK, and was rolling on smaller, highway terrain tires. 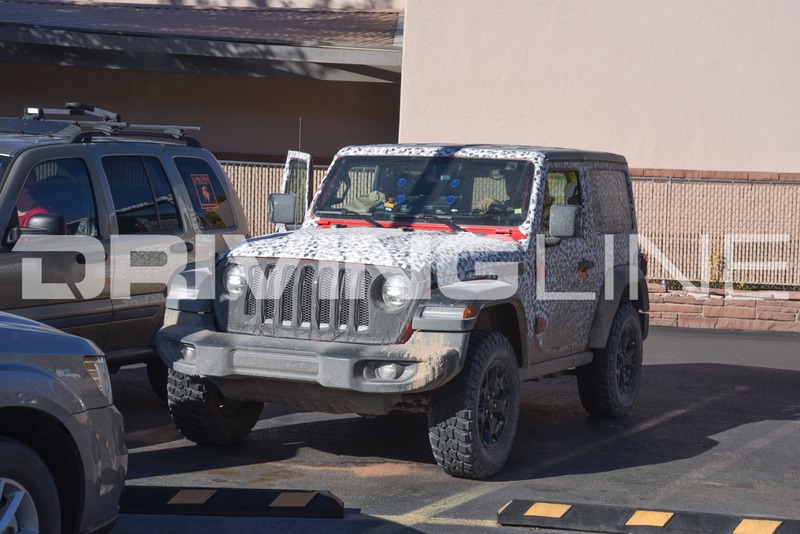 The other two models on mud terrains had tail lights with a new LED design. 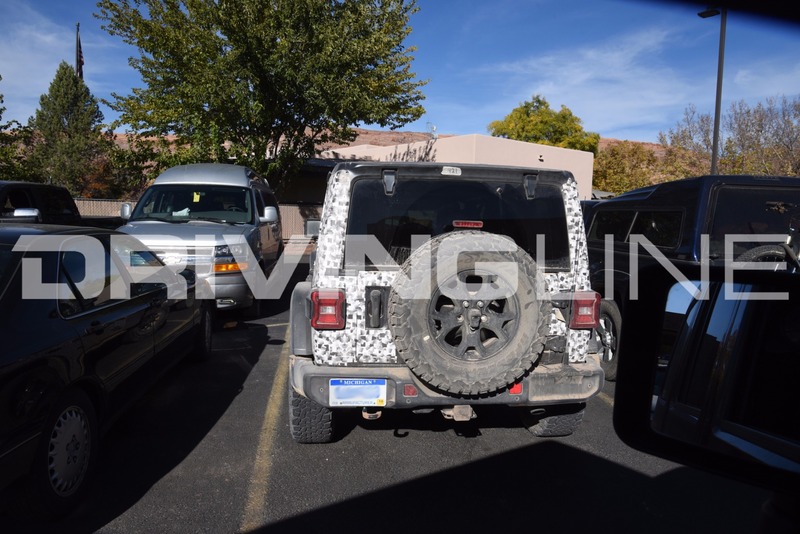 The headlights on the same Jeep had projector housings, possibly denoting the use of LED bulbs up front. 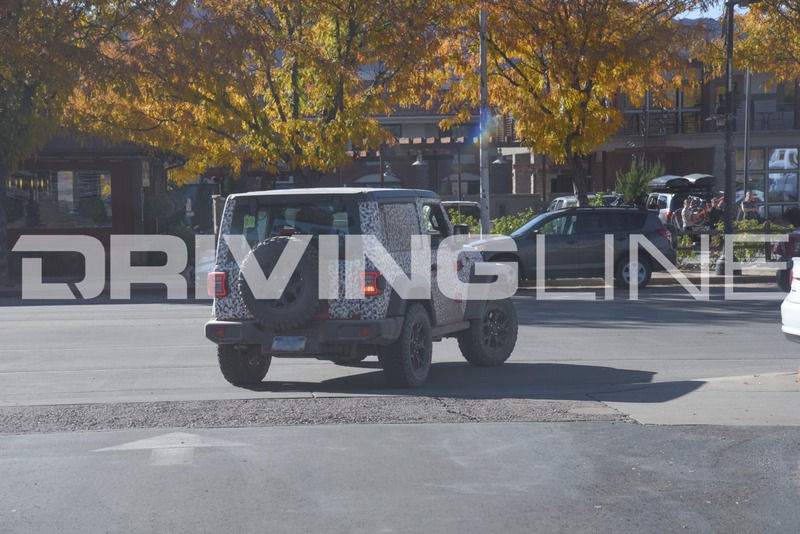 Will LED forward and rearward lighting be an option on the JL, with the standard being halogen? 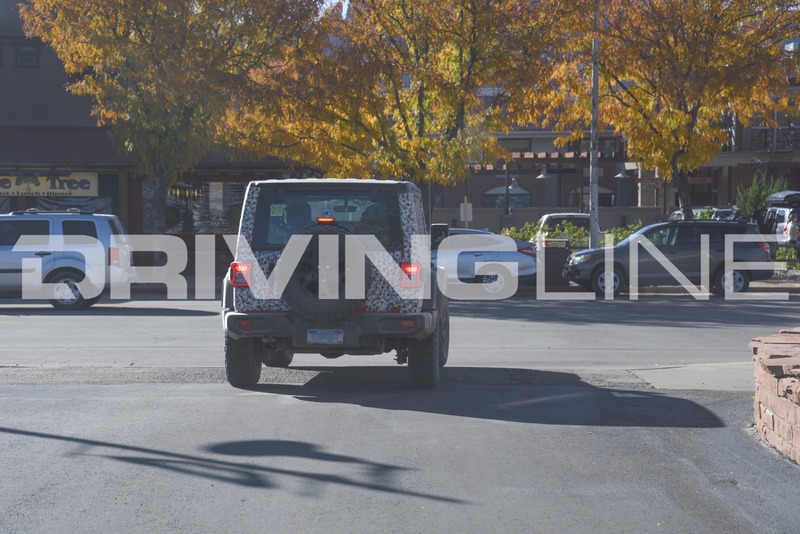 Jeep would be prudent to redesign the headlights, as the they are one of the biggest complaints new JK owners have, due to their weak light output. 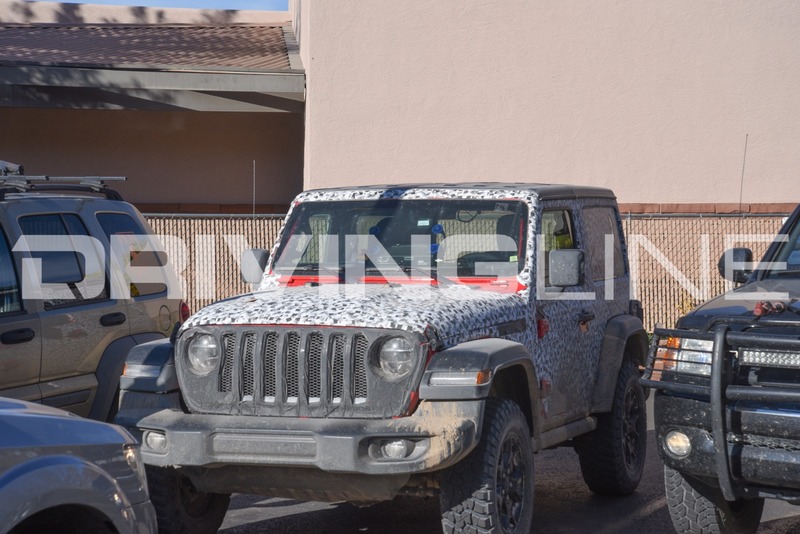 It has already been assumed the JL will have LED turn signals incorporated into the front fenders, a change from the JK that will certainly pose a challenge for companies who build aftermarket fenders for Jeep vehicles. 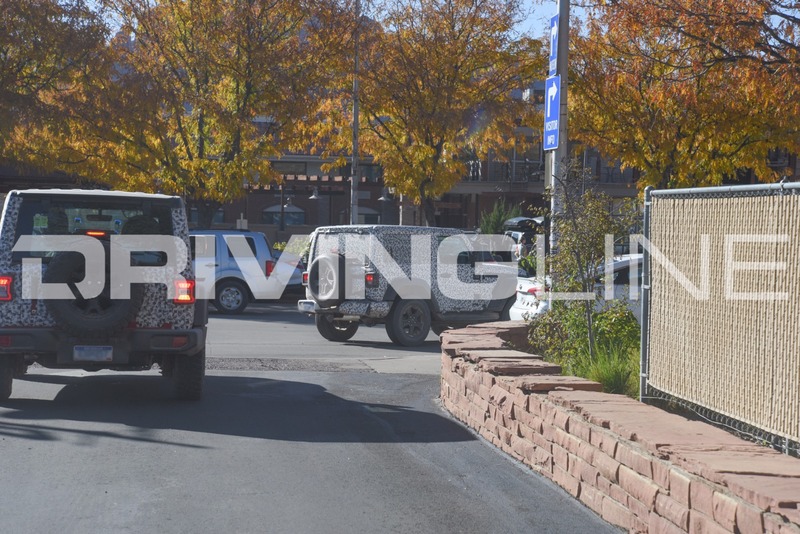 All of the mules we spotted had a redesigned third brake light—which sports a wider, lower profile design mounted to a wider plastic mount between the spare tire and the tailgate. 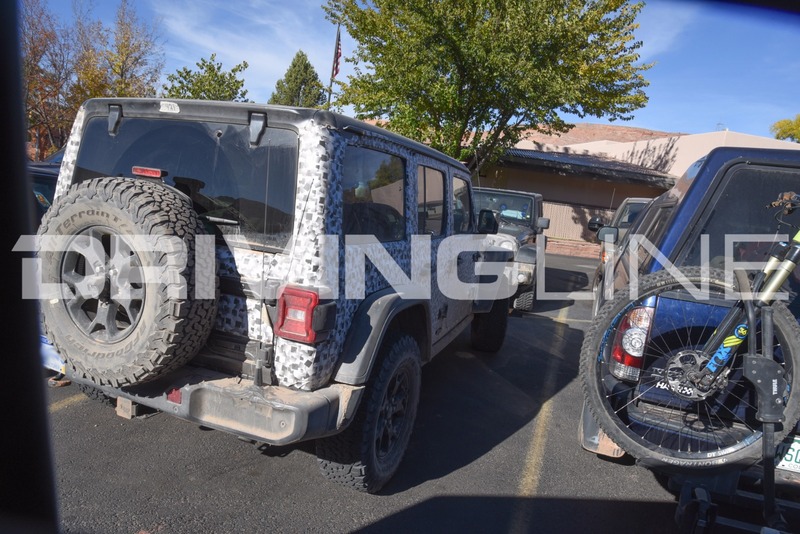 Another change we spotted is the relocation of the rear window wiper assembly from the top of the window on the JK to the bottom of the window, behind the spare tire on the JL. Getting the wiper motor and assembly out of the way is good news for rear visibility. 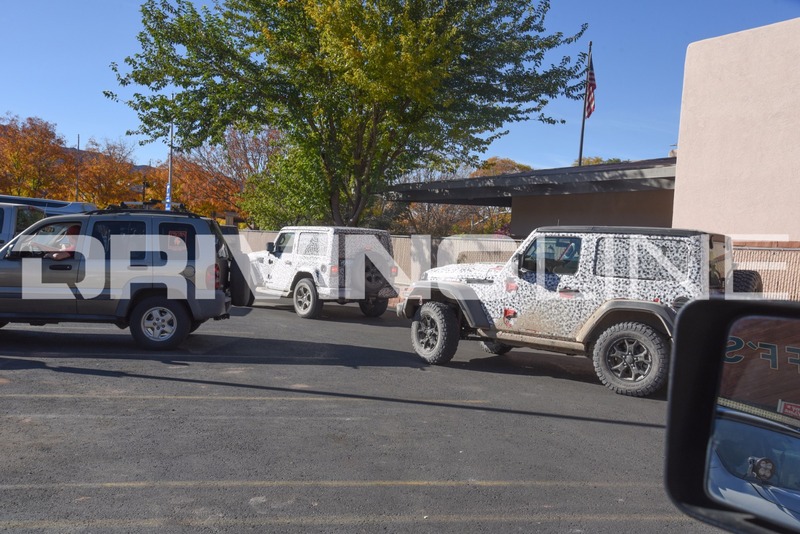 These Jeeps also all had VHF radio antennas mounted to their rear bumpers, similar to ones you will find on many off-road rigs. VHF radios are becoming a more and more popular form of communication between off-roaders, due to their powerful range and clear audio when compared to a standard CB radio. 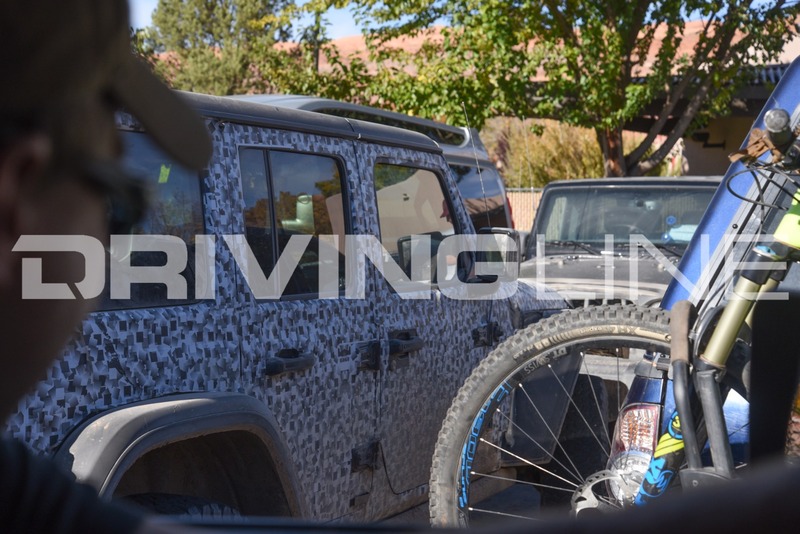 Obviously, this is not a feature we will see on the production models, but it is cool to see that the Jeep test guys are definitely in radio contact while on the trails. Good news for the shorter crowd! 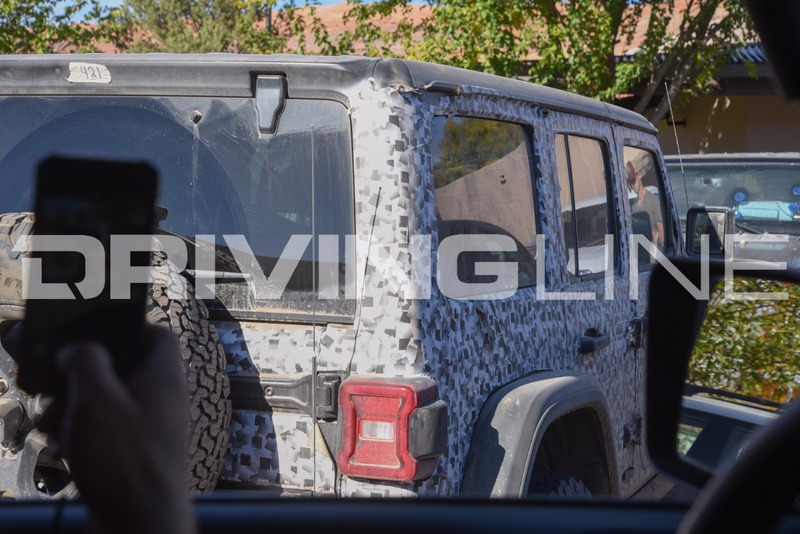 We can also confirm the interior A-pillars will have fixed grab handles on them, a big change that will be a first for the Wrangler. 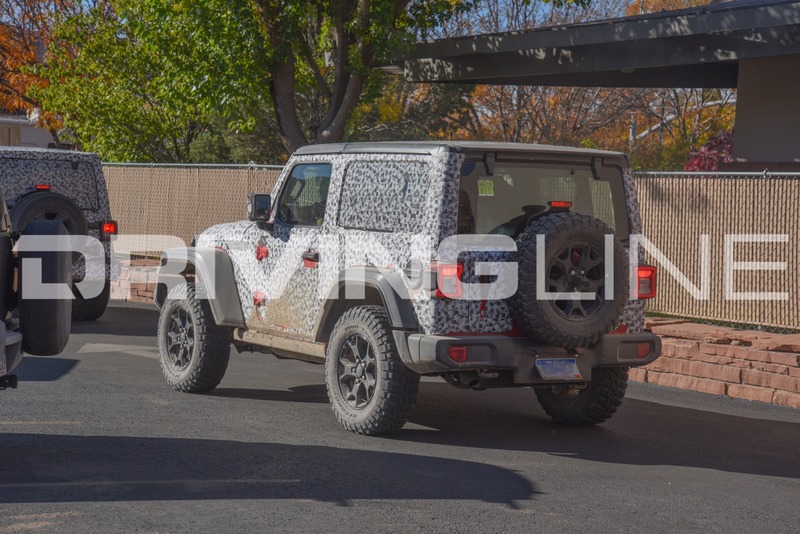 Jeep has traditionally offered their new Wranglers with a soft grab handle, wrapping around the sport cage between the A-pillar and B-pillar, but this seems like a more permanent solution. Photos courtesy of Frank Doherty, Adam Wolfe and Joe Bulhoes. 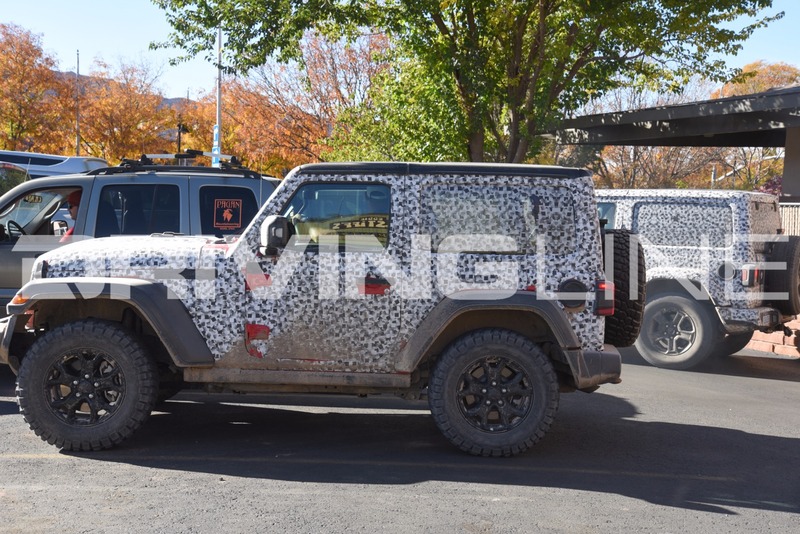 With so many Jeep fans all over America, many of the JL’s exterior features have been revealed and speculated on way ahead of its official release. 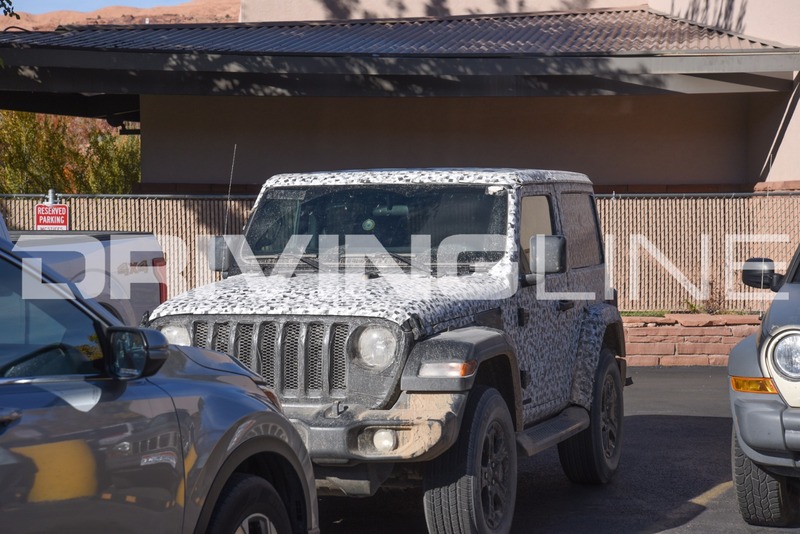 We’re sure there are plenty of new surprises to come when they finally pull the cover off, but these spy shots give us important peace of mind that even in the age of luxury and technology, the Jeep Wrangler is sticking to its roots as a 4x4 vehicle that is designed, engineered and tested to thrive where the pavement ends. 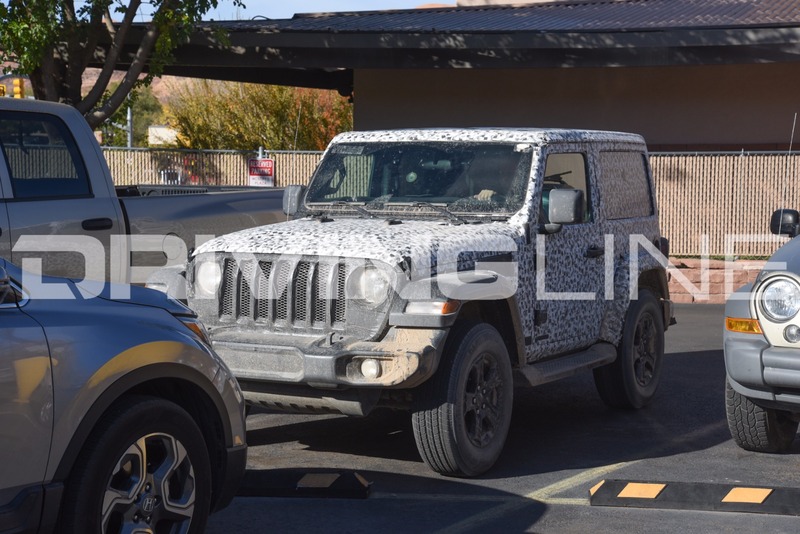 See all our exclusive spy shots in the gallery below!